AAEA is encouraging those 11 CBC members to sign onto HR 1310 as cosponsors to help facilitate passage of the legislation. The Clean Water Protection Act, H.R. 1310 was introduced by Congressman Frank Pallone (D-NJ) on March 4, 2009 and amends the Federal Water Pollution Control Act (commonly known as the Clean Water Act) to define "fill material" to mean any pollutant that replaces portions of waters of the United States with dry land or that changes the bottom elevation of a water body for any purpose and to exclude any pollutant discharged into the water primarily to dispose of waste. For years, the Clean Water Act allowed for the granting of permits to place 'fill material' into waters of the United States, provided that the primary purpose of the 'filling' was not for waste disposal. The intention was to prevent industries such as coal mining from using the nation's waterways as waste disposal sites. That changed in 2002, when the Army Corps of Engineers, without Congressional approval, altered its longstanding definition of 'fill material' to include mining waste. This change accelerated the devastating practice of mountaintop removal coal mining and the destruction of more than 1,200 miles of Appalachian streams. Senator Benjamin L. Cardin (D-Md), left, and Senator Lamar Alexander (R-Tenn), right, have introduced legislation (Alexander-Cardin Appalachian Restoration Act- S. 696) to ban mountaintop-removal coal mining. They hope to stop the removing ountaintops in West Virginia and Kentucky and prevent a resurgence of the practice in Tennessee. Tennessee produced 2.3 million tons of coal last year, compared with 158 million tons in West Virginia and 120 million tons in Kentucky. The bill would effectively end mountaintop removal by amending the Clean Water Act to prohibit the dumping of mining waste in streams. It would allow other types of open-pit, surface mining. 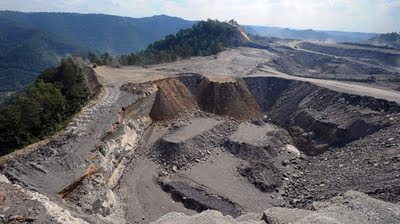 AAEA opposes mountaintop removal and supports the Alexander-Cardin legislation. Harry Alford, president of the National Black Chamber of Commerce (NBCC), invited me to their 17th annual conference as a special guest. Thanks Harry. It was a great conference that addressed some cutting edge issues, including global warming, green jobs and energy entrepreneurship. It was the first time that AAEA, American Association of Blacks in Energy and the NBCC got together in one place to strategize. This strategizing was combined with interactions among energy companies and associations, including Peabody Energy (coal), Edison Electric Institute, American Petroleum Institute and the U.S. Chamber of Commerce. EPA Administrator Lisa P. Jackson was the keynote speaker at the Friday breakfast. I introduced her to our Vice President Derry Bigby and introduced her deputy to NBCC Board Chairman Mike Little. There was all kinds of dynamic networking going on. Particularly interesting was the energy panel entitled, "Energy, Green Jobs, and Renewable Sources: What is this all about? What is a 'green job?' Where are the grants- routine, stimulus, descretionary? We can show you." The moderator was Maurice Stone-Chair, NBCC Energy Committee and panelists included Bryan Just, Senior Economist, American Petroleum Institute, Ross Eisenberg, Energy and Environmental Counsel, U.S. Chamber of Commerce, and Morry C. Davis, Government Relations, Peabody Energy Corporation. Another excellent keynote presentation was given by David Owens, Executive Vice Presdent of Business Operation, Edison Electric Institute. 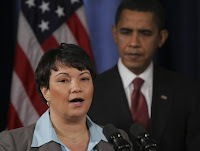 Numerous Obama administration officials also participated in the conference, including Karen Mills, Administrator of the U.S. Small Business Administration, among many others. Fly Ash Environmental Injustice in Perry County Alabama? AAEA opposes the shipment of toxic fly ash to Perry County, Alabama. We are working to stop these shipments. AAEA is promoting the increased use of fly ash in the production of concrete as the best solution to this problem. The U.S. Environmental Protection Agency (EPA) recently approved a plan by the Tennessee Valley Authority (TVA) to ship three millions of tons coal ash waste, from the December 2008 Kingston Fossil Fuel Plant ash spill disaster in Kingston, Tennessee to Perry County, Alabama. Perry County is 70% black and is also the second poorest county in Alabama and unemployment is around 17 percent. The median income of its residents is around $24,000 and approximately a third of the county lives below the poverty level. The TVA is now shipping ash coal waste that contains significant levels of 14 toxic substances including arsenic, lead, mercury selenium and radioactive elements to a private waste site owned by Perry County Associates. The majority of the county's politicians are black including the county commissioners and they endorsed the fly ash disposal plan. The politicians backed the idea because it will bring more employment to the county. The waste will bring $4 million dollars in fees to the county and create as many as 50 jobs, which will last about a year, to a county whose population is 10,600 people. 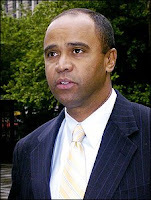 But Congressman, Arthur Davis, who represents the county, and who intends to run for governor of Alabama, is also strongly opposed to the ash fill landfill. 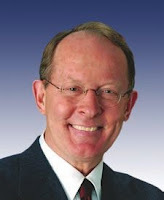 Although we disagree with Harry Alford on the climate change legislation pending in Congress right now, we understand his fury towards Barbara Boxer. Alford, left, is president of the National Black Chamber of Commerce (NBCC) and Boxer, right, is chair of the Senate Environment and Public Works Committee. The two had a dust up at a hearing before Boxer's committee on Thursday that had FOX News and Rush Limbaugh salivating. Yet let's examine the important issues beneath the conflict. Harry Alford is our friend. But we agree with Barbara Boxer on approving a climate bill this year, even if it is the Waxman/Markey House passed (219-212) bill. Alford went ballistic when Boxer tried to use the NAACP climate resolution and 100 Black Men of Atlanta endorsement of climate legislation against the NBCC chair's position. Alford complained that it was being 'racial' and 'God awful.' Boxer disagreed and said this is how its done in general all the time. Now the left, particularly environmentalist allies are attacking Alford and NBCC. Their main weapon is that NBCC accepts ExxonMobil money and that is why they oppose the current climate bill. Yet anybody who knows Harry and the NBCC would know such a notiion is ridiculous. Moreover, there is nothing wrong with NBCC accepting ExxonMobil money--the environmental movement sure isn't going to contribute any of its $6 billion annual budget to NBCC. They also aren't going to hire and retain Black people. 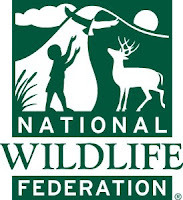 Although the National Wildlife Federation (NWF) via former board chair Jerome Ringo and current black outreach coodinator Marc Littlejohn helped get the resolution passed at the NAACP annual meeting in New York, the NAACP will not join with environmentalists and their attack allies in a campaign to undermine the NBCC. Hell the NAACP and NBCC are mostly on the same page on energy and environmental issues. The NAACP also does not believe that ExxonMobil is an evil entity and glady accepts their money just like NBCC. John Grant, CEO of 100 Black Men of Atlanta and current NWF board member also helped with passage of the resolution. He is not going to try to destroy the NBCC on behalf of NWF and the environmental movement over the climate bill disagreement. So if environmental activists intend to start a war with NBCC, they had bettter stop and think twice. Because environment groups do not have black professional staff (or one), so they do not have the experience or standing to fight this fight. EP&W Chairwomen Boxer should have a hearing on this issue to clear the air. Surely she did not like internet headlines proclaiming her racist in her dealing with Alford. Yet was she not aware of the sensitivity of trying to use one black group against another black group? Was she not aware of Harry Alford and his frustrations with environmentalists and energy issues when it comes to Black entrepreneurship? Doesn't Boxer know that Blacks do not own any of the energy infrastructure in America? Doesn't she know that this makes Alford apoplectic? See Harry is too smart in this area. Harry knows the deal and knows where all the bodies are buried. Does it make him cynical? Yes. Does it make him angry? Yes. And Boxer walked right into Alford's minefield. We know these issues and histories very well. For instance, the NAACP has a well established energy committee that is decades old. That committee, historically, has been made up of members from the American Association of Blacks in Energy (AABE) , which is mostly energy industry heavy. So there is a dime's worth of difference between the NBCC and the NAACP on most of the energy and environmental issues. Conversely, although the Congressiaonal Black Caucus (CBC) embraces American industry, they also traditionally are the highest voting caucus in Congress on environmental issues [according to the League of Conservation Voters tracking]. The CBC supported Waxman/Markey. So although there is disagreement at different black-led organizations about the Waxman/Markey legislation, there is no disagreement that Blacks are locked out of energy infrastructure ownership and excluded from professional position employment at environmental groups. Again, Chairwoman Boxer would do well to hold a hearing to delve into these issues in order to educate the Congress. She might also get to know more of the players and history in this largely ignored sector. She would be well served to educate herself on these sensitivities and might avoid future Alford-type eruptions when confronting Blacks on issues with whom she disagrees [see also Condoleezza Rice]. Washington, DC - Description: The Grassroots Outreach Intern will assist field and online outreach efforts with a number of tasks that could include: helping organize travel, meeting spaces, logistics and materials for lobby days; communicating with activists via email or phone; inputting constituent information into Raiser's Edge and/or Convio; writing content for online or print; organizing phonebanks; and communicating campaign information via social media websites and updating NWF's profile pages. The intern will also have the opportunity to develop special outreach projects based on his/her specific skills and interests. These projects will in some form broaden NWF's outreach to sportsmen and/or develop NWF activists to build community around global warming solutions. Education: A four-year degree in a natural resources, communications, or policy-related field. - Excellent oral and written communications skills required. - Experience working on a campaign, grassroots organizing or advocating for an issue. - Experience working on their own and as part of a team. - Excellent organization skills and some project coordination experience necessary. - Proficiency with PC software including Microsoft Office required. - Experience with writing and creating web content (incl. basic HTML and photo editing programs). Experience with data analysis a plus. NWF is an equal opportunity employer committed to workplace diversity. President Obama has created the Office of Urban Affairs, which aims to redefine the word "urban" and to establish a policy agenda not just for inner cities, but for the suburbs that surround them. The president has appointed Adolfo Carrión Jr. to be director of the Office of Urban Affairs. "The word "urban" became code for "black" and "problem-ridden." Urban areas ARE black and problem ridden. Black-on-Black murder is the most important environmental issue facing urban black communities today. We hope that President Obama's Urban Office will make Black-on-Black a priority because this behavioral pandemic is a cancer at the core of Black America [yes there is still a black side of town in every city in America]. "Black Business Success Can Hurt"
It can be quite comical at times when you see public relations splashes about perceived successful entrepreneurs. Ninety percent of these so called tycoons are fakes. The fact is most successful Black businesses are rather “stealth”. The modesty comes from many examples of attacks, conspiracies and mountains of adversity put before them and others simply because they are Black. Most successful Black entrepreneurs that I know would never publish themselves in the so called Black Enterprise Top 100 Black Businesses. To many it is perceived as a “target list” for the IRS, large competitors and others with bad intentions. Allow me to discuss a few of the horror stories that successful Black entrepreneurs have experienced. Lannie H. Smith started L.H. Smith Oil Co. and built up a big customer base of Indiana corporations and government entities. He supplied them with fuel oil. His biggest contract was with Ft. Knox, Kentucky, the home of the U.S. Army tank school. Traditionally, you had to deliver the goods on time or face a fine for lateness. In this case, if any of his trucks were late his company would be assessed a fine of $1,000 per hour or part thereof. His enemies knew this so when each truck left Indianapolis for Ft. Knox it would be stopped by an Indiana state trooper and detained for hours. After the harassment, the trooper would release the truck and as soon as it crossed the Ohio River Bridge a Kentucky state trooper was waiting to do the same. This harassment was taking all the profit out of the deliveries and building bad relations with an important customer. It’s hard to fight something that is being sanctioned by the highest office in the state (Governor and State Police). I know hundreds of such stories. One day I will have to chronicle it in a book. It is just a shame to see hard work and success attacked simply because of the color of one’s skin. To see a catfish farmer get his ponds poisoned with toxic mercury; companies getting their valuable equipment stolen; unwarranted union strikes; merciless IRS audits and harassments; false fraud charges and it goes on and on. For every successful Black business that hasn’t been “hit” there are five more that have. STILL WE RISE! 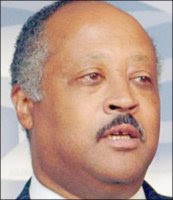 Harry Alford is the President/CEO of the National Black Chamber of Commerce, Inc. The Environmental Protection Agency estimates that people spend 90% of their time indoors, but that indoor air quality can be two to five times more polluted than outdoor air. Whether in your home or business, follow these 10 easy steps to ensuring you have the cleanest indoor air possible. 1. Don't Allow Smoking Indoors - There is no safe level of second hand smoke. Each year, second hand smoke sends 7,500-15,000 children aged 18 months or younger to the hospital. Hundreds of thousands of children will develop respiratory tract infections from second hand smoke this year. It's not even good enough to allow smoking outside of doors or on balconies, as the smoke simply re-enters indoors. Try to designate a smoking area at least 20 feet away from the premises. 2. Carbon Monoxide Detector - Carbon monoxide is an odorless gas that kills over 400 people each year. Carbon monoxide levels can rise very quickly in unventilated areas. Make sure you install a functioning detector in your home, preferably near your bedroom. 3. Test for Radon - Scientists estimate that radon causes thousands of deaths annually. Radon is an odorless, invisible gas that occurs naturally in soil and rock and can only be detected through testing. 4. Fix Leaks - Rain and high humidity can bring moisture indoors, creating dampness, mold and mildew. Mold aside, dampness alone is associated with higher risk of wheezing, coughing and asthma symptoms. Check your roof, foundation and basement or crawlspace once a year to catch leaks or moisture problems and route water away from the building's foundation. 5. Air Conditioners and Dehumidifiers - Asthma is the leading serious chronic illness of children in the U.S. Help keep asthma triggers away by fixing leaks and drips as soon as they start. Standing water and high humidity encourage the growth of dust mites, mold and mildew, some of the most common triggers that can worsen asthma. Use a dehumidifier or air conditioner when needed, and clean both regularly - or get one that's self-evaporative. 6. Pets - Pet allergies can come from an animal’s saliva, urine, feces and dead skin cells, so no pet is “hypoallergenic.” If someone in your family has pet allergies, keep your pet outdoors. Moving your pet from indoors to out can help reduce exposure to these allergens. However, cat allergens can stay in place for 20 weeks or more. If you must keep your pet indoors, keep it away from primary heavily trafficked areas. Note that toting pets around has become a new fashion statement. If you find pets at the work place or in public areas such as stores and supermarkets, do not hesitate to talk to the manager about these health concerns. 7. Dust Mites - Dust allergies are actually a reaction to dust mites. Dust mites are microscopic pests that need moisture to survive. Since dust mites feed on human skin, and live in bedding, pillows, mattresses, stuffed toys, upholstery and carpets. Dust mites can be controlled through intensive vacuuming, wood/linoleum floors (versus carpets), and keeping humidity levels below 50% (this can be achieved through a dehumidifier). 8. Asbestos Control - Asbestos is a mineral fiber that can still be found in many older homes. Inhaling tiny asbestos fibers can increase the risk of lung cancer and other lung diseases. Pipe coverings, flooring, shingles and roofs are likely places to find asbestos. 9. Ventilation - Proper ventilation is one of the best ways to improve air quality, (provided that the outside air is not worse than indoor air). High levels of moisture in your home increase dampness and the growth of mold, which not only damage your home but threaten health. Dampness and mold are linked to increased wheezing, coughing and asthma attacks in people with allergies. Consider investing in a UV Air Purifier that removes allergens as well as odors and infectious microorganisms. 10. Flooring - Avoid using carpet whenever possible. Carpet traps unhealthy particles -- including chemicals, dust mites, pet dander, dirt and fungi - and vacuuming can make them airborne. If you do have carpets, use a HEPA (high efficiency particle air) vacuum cleaner to ensure better air quality. Hard surface flooring, like wood, tile or cork can be readily cleaned by damp mopping. With these ten steps, you should be well on your way to cleaner indoor air. Shireen Qudosi is a green expert working with Air Conditioner Home. Can EPA Have A Glass Ceiling With Lisa P. Jackson As Administrator? If America has a black president and a black EPA administrator, should there be complaints about there not being enough Blacks in upper management positions at the agency? We know that Blacks at EPA have high expectations for promotions, even as this administration is barely six months old. At a recent budget briefing at EPA headquarters, a Latino man raised the issue of the lack of diversity among the top officials standing behind Administrator Lisa P. Jackson. Of course, Lisa P. Jackson is clearly sensitive to environmental justice and other racial issues, but can she overtly start promoting Blacks into upper management positions? So assuming there aren't enough Blacks in high-level positions at EPA, what can and should be done about it? Now we have not formally researched this issue but are relying on anecdotal evidence. Maybe EPA should launch a formal study to analyse the situation. Then if a legitimate problem is found, appropriate remedies can be recommended and implemented that would satisfy everyone. If the problem exists at other departments and agencies, then the EPA model could be used as a template. Yet, in discussing this matter, some even question the 'type' of Blacks placed in higher positions. Well how in the heck do you measure that? And at the end of the day, what are Blacks in these positions supposed to do differently--favor Blacks? Clearly EPA has the resources, and hopefully the inclination, to address these questions. The public should also be confident that the agency commissioned to head environmental justice considerations should be equitable in its own hiring and promotion practices. Race has been quite the confounding variable in the American marketplace. The election of Barack Obama clearly demonstrates that the glass ceiling can be penetrated. Yet the environmental movement remains largely segregated and Blacks own virtually none of America's energy infrastructure (dreams of green jobs notwithstanding). America remains two societies in residential patterns. Is it enough for Lisa P. Jackson to simply do the basics of administering EPA's environmental mission? We raise the question because part of AAEA's mission is to increase African American participation in the environmental movement.